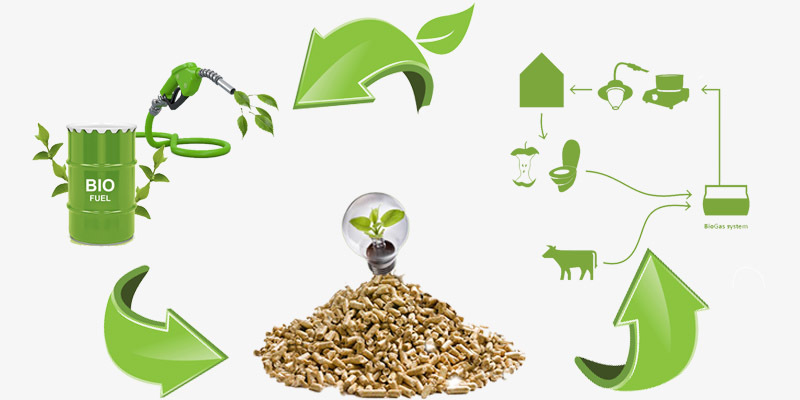 Biomass energy is the energy that has been stored in biomass materials. It is not only a type of solar energy that use biomass as a carrier, but also the only renewable carbon source. The green plants store biomass energy through daily photosynthesis which convert the solar energy to chemical energy. Through photosynthesis, plants can convert 200 billion ton carbon content in carbon dioxide to carbohydrate, and at the same time, the plants also stores 3╳1013GJ solar energy, which is 10 times of current global energy consumption. 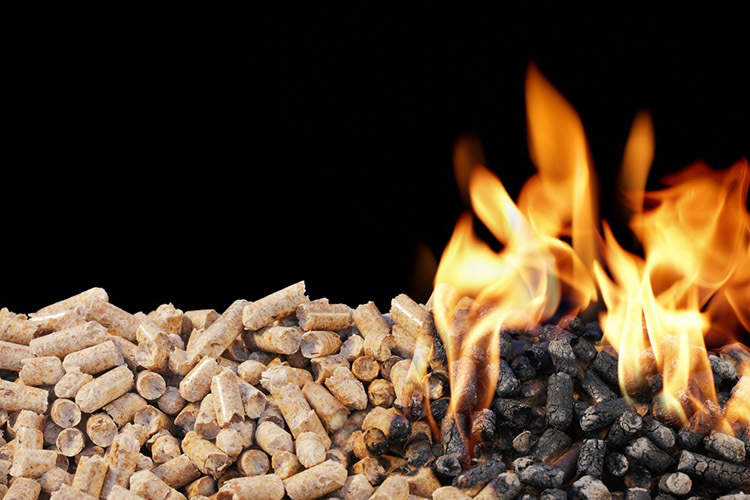 Biomass pellet is a new type of renewable fuel which is made of high quality wood chips and corn stalks. The wood materials must go through several processes such as crush, mix, compress and drying to become biomass pellets fuel which can be burned directly. The development of new energy resources and energy saving are becoming more and more popular as the energy supply intensity. Except of developing all kinds of green energy and saving energy through daily action, we can also use all kinds of wastes materials to produce energy, such as the organic wastes can used to produce methane, and the wood wastes can used to produce wood pellets. 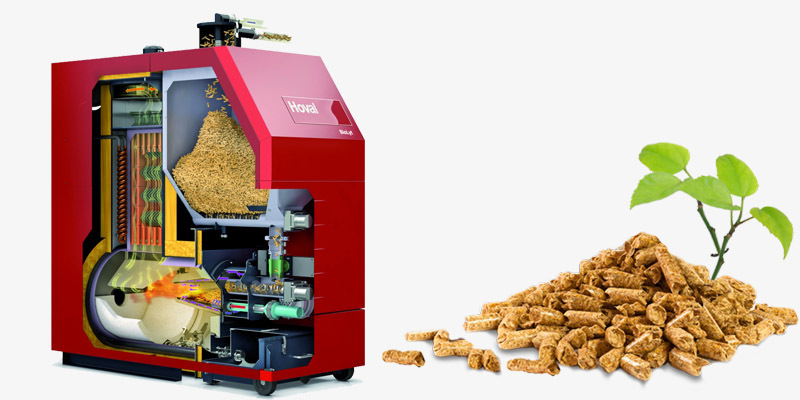 Biomass pellet fuel is a new types of compression molding solid fuel which turns the agricultural wastes and forestry wastes such as corn stalk, wheat straw, wood shavings and wood chips into useful products. To burn the biomass pellets, we must use the biomass pellet boiler which is a little bit different from coal boiler. 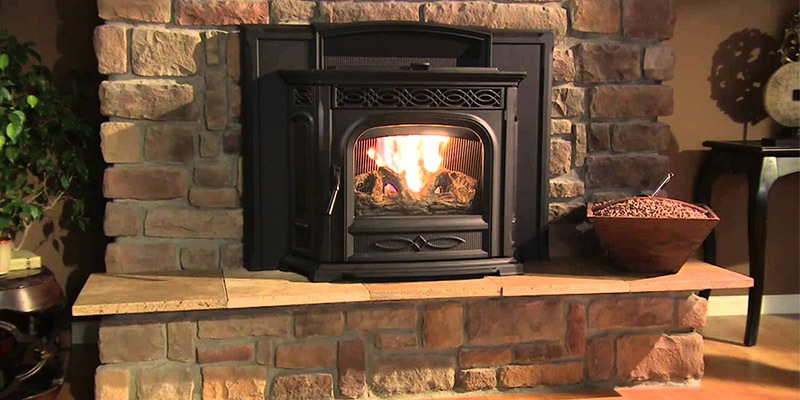 As the combustion performance is the main concern of the end users. Therefore, get the comprehensive information of different biomass pellets combustion properties is quite important for the biomass pellet plants to produce the suitable biomass pellets for proper markets. We have talked about the design of biomass pellet combustion property test in the last post. This time, we will analyze the combustion property of the eight kinds of biomass pellets based on the test result. 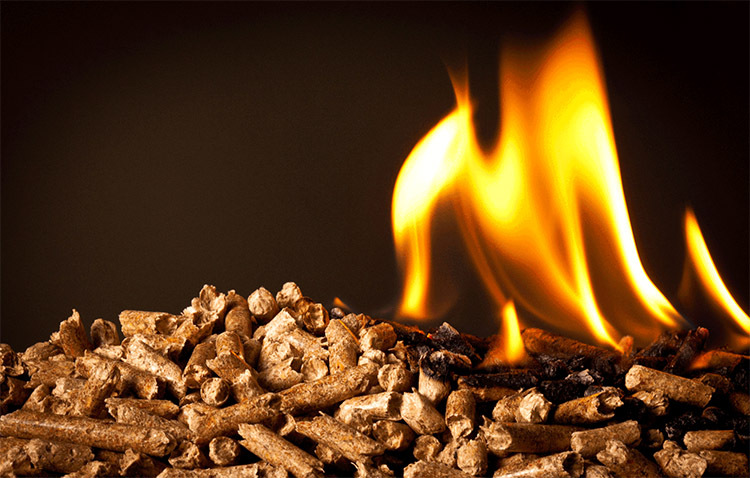 Biomass pellet fuel is a typical solid biomass fuel which shows the advantages such as highly efficient, clean, easy to burn and carbon zero emission. 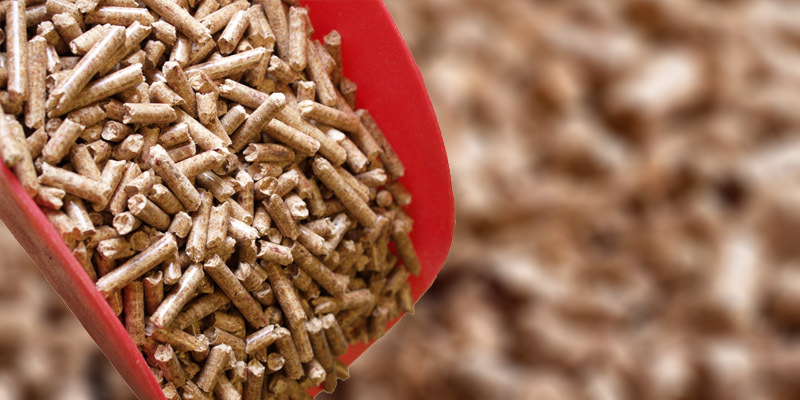 Biomass pellet can be used in both civil and industrial fields such as cooking, heating, boiler combustion and electric generation. It is one of the famous substitutes of coal in the world. 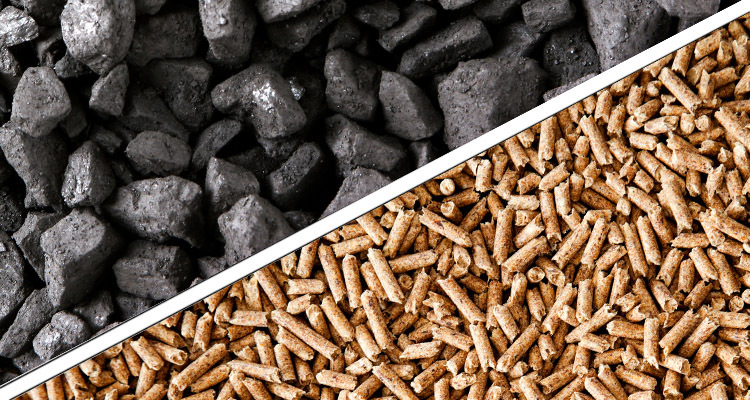 But the poor quality biomass pellet has high ash content and high alkali metal content, which may cause slag bonding, alkali and chlorine corrosion or serious fly ash problem in the combustors during biomass pellet combustion. 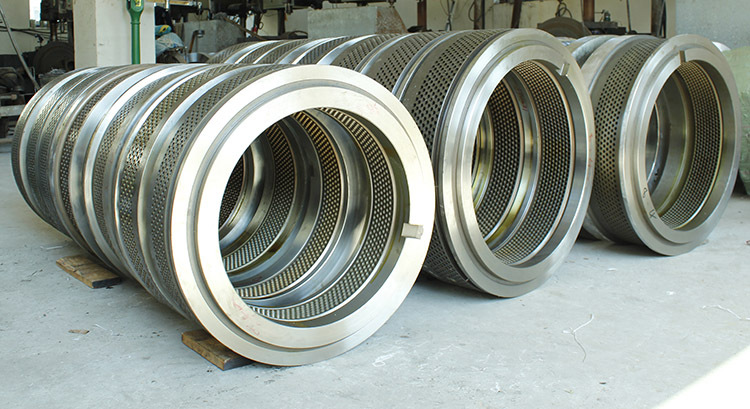 There are three pellet mill ring die installation methods, straight sided installation, conical sided installation, holt hoop installation. It is easy to install ring dies use the straight sided installation method. Straight sided installation makes the ring die steady, the ring die is not easy to tip. But the fixing bolt of the ring die is easy to break, so it is not suitable for industrial ring die pellet mill. 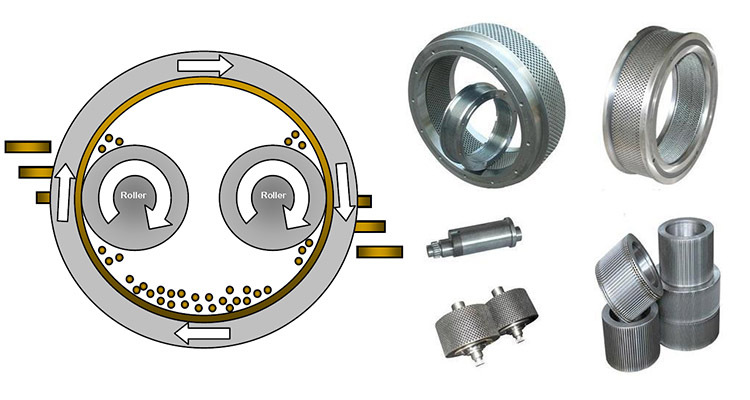 Conical sided installation makes the ring die maintain perfect centering performance and great transmission torque. 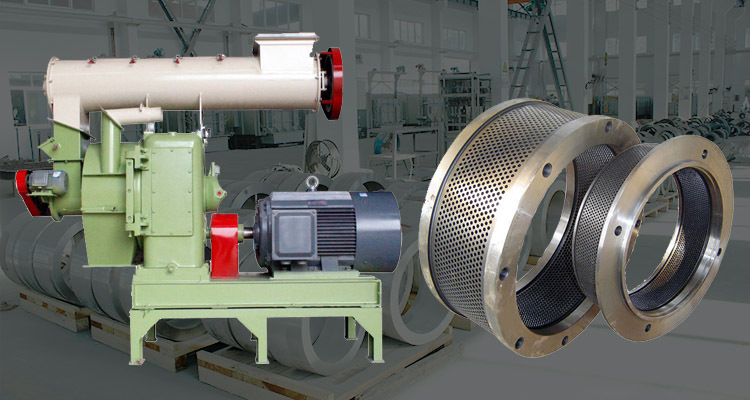 In a complete pellet production line, ring die pellet mill is the core equipment. And in a single ring die pellet mill, ring die is the core component, it is the main wearing part of a ring die pellet mill. According to the statistics, the cost of wear and tear of ring die covers more than 25% of the whole maintenance cost of the producing department. Moreover, it also effect wood pellet quality directly. Therefore, to get to know the knowledge of features of pellet mill ring die is significantly important for the pellet makers. It can help them choose suitable ring die pellet mill, use it properly and maintain it effectively. For the industrial pellet plants, ring die pellet mill is the core machine of the complete wood pellet processing line. The name “ring die pellet mill” is named after its die shape. And for a ring die pellet mill, the design of the ring die is extremely important as it is the main wear part of the ring die pellet mill. The main parameters of ring die are: the diameter of ring die, the effective width of compression, rotary speed of ring die, the diameter of rollers and the raw material of ring die.